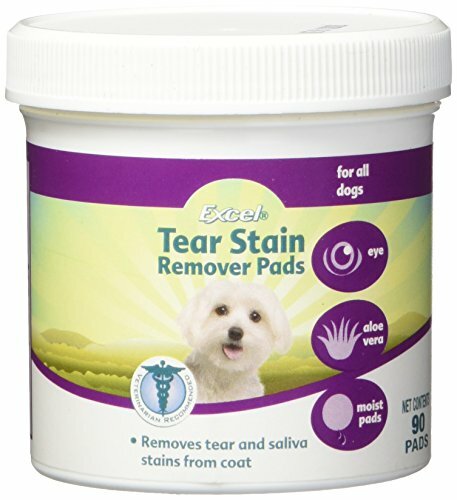 Excel 8 – in – 1 Tear Stain Remover Pads is a safe, non-irritating stain remover in an easy to use pad format. These stain remover pads gently remove tear and saliva stains and can restore full luster to your pet’s coat. Regular treatment is recommended to prevent reoccurrence of stains from tears or saliva. Moist pads contain aloe vera and are designed specifically for dogs, cats, and other small animals. Contains 90 pads total.To use Excel 8 – in – 1 Tear Stain Remover Pads, first gently wipe the stained area. Next, rinse the area with water after treatment. Heavily stained areas may require daily treatment until the stain is removed. Regular treatment should prevent reoccurrence of stains. While these pads can be used around the eye area, please do not use in the eyes. For a safe and simple solution to tear and saliva stains, turn to Excel 8 – in – 1 Tear Stain Remover Pads. 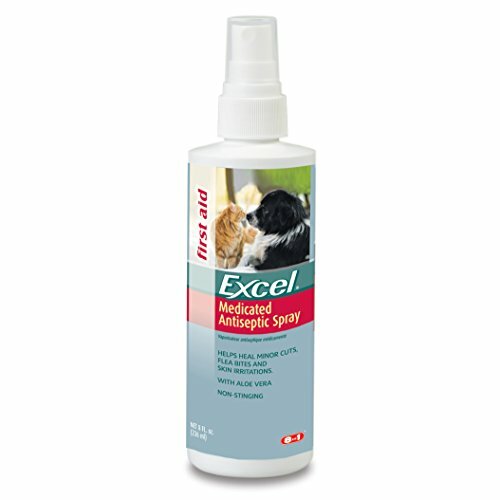 Excel Medicated Antiseptic Spray helps heal topical infections and reduce fungal growth. 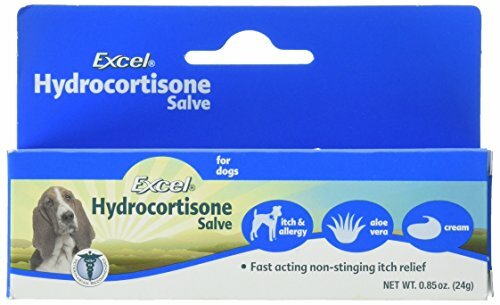 Contains antiseptic to heal cuts, flea bites, and skin irritations. Also contains chlorhexidine to destroy bacteria and elliminate germs. 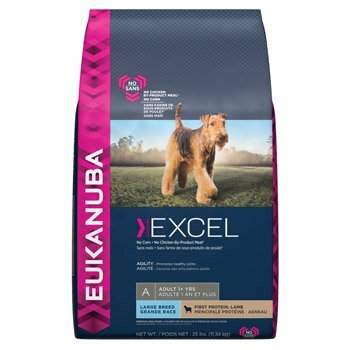 Excel is a trusted brand that fulfills the needs of both pets and their owners. We know that pets are much more than companions – they’re part of the family. Our brand philosophy is rooted in our core values, which are firmly dedicated to providing our pets with the best possible products for a lifetime of love. Excel 3-in-1 Ear Powder has a fast-acting formula that immediately relieves pets’ ear itch and irritation. This convenient ear powder helps to dry ear discharge, while also eliminating unpleasant ear odors. Excel 3-in-1 Ear Powder is easy to use — squeeze directly into your cat or dog’s ear. Weekly application will help to maintain ears in good condition. In severe cases, treat daily. This product may also be used to help remove excess ear hair. 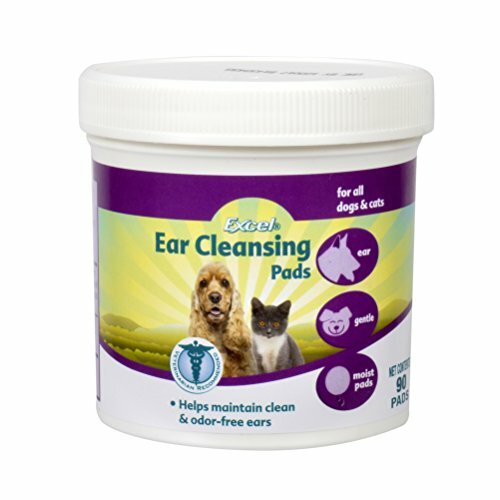 For good ear health, use regularly with ear cleansing pads or ear cleansing liquid. See label for complete directions before using. Our products are scientifically formulated and use the highest quality ingredients to offer comprehensive solutions for all pet health and wellness needs, including vitamins, joint care and skin and coat remedies. 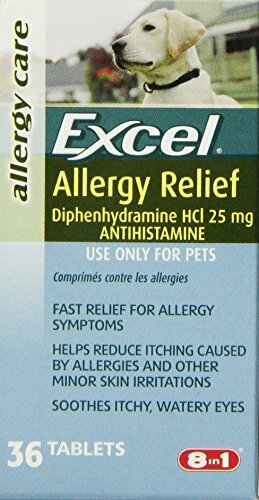 Excel Enteric Coated Aspirin provides safe and effective pain relief for dogs. 81 mg coated tablets are gentle on pet's stomach and contain anti-inflammatory properties. 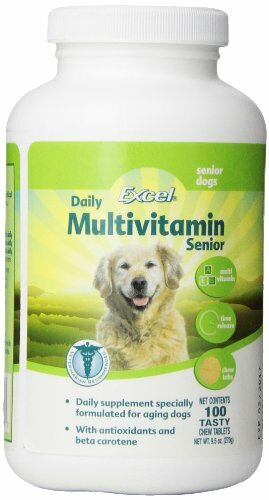 Ideal for dogs with arthritis and joint problems or after surgery. 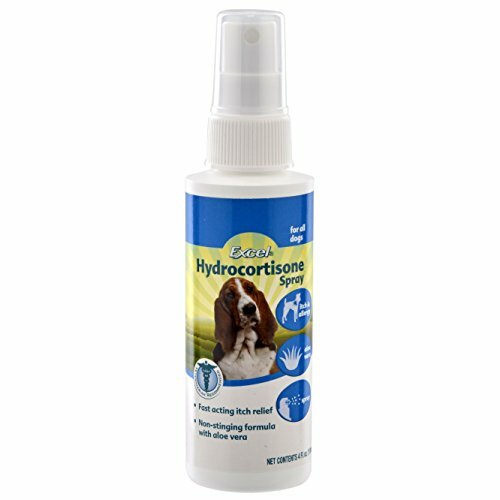 Excel Hydrocortisone Shampoo provides fast, safe relief from minor skin irritations and inflammation due to hot spots or flea and insect bites. Contains cortisone to help alleviate itching and aloe vera to soothe and moisturize skin and coat. 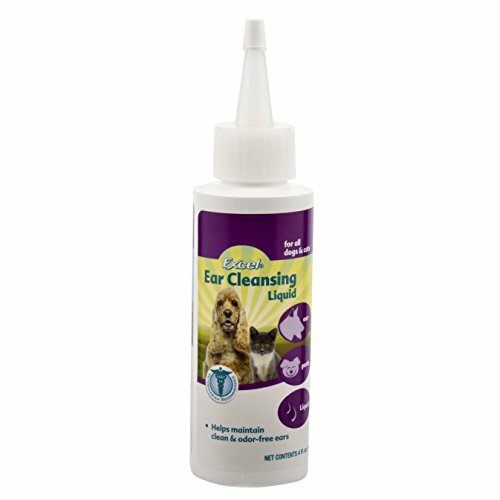 Excel Ear Cleansing Liquid helps dissolve waxy buildup and provide gentle cleansing, leaving pet's ears clean and free of odors. 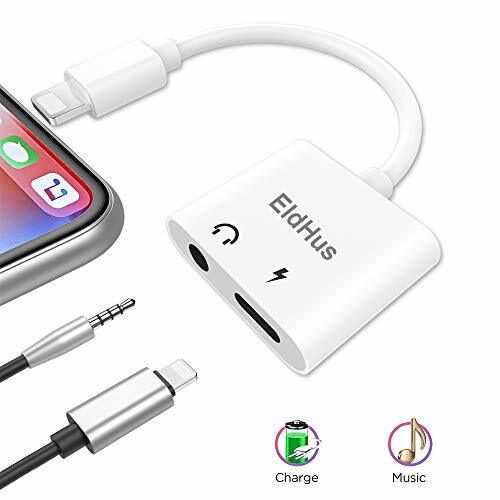 Routine use helps maintain healthy ears. Easy-to-use liquid or wipes. 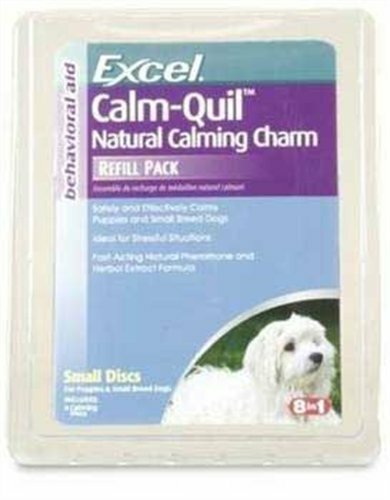 Excel Calm-Quil Natural Calming Charm Collar for large dogs is an innovative delivery system for fast relief in stressful situations. Calming discs are replaceable and contain an herbal formula with natural pheromones. Charm attaches easily to collars, crates, and wherever needed. Discs are effective up to 8 hours. Package includes 1 charm and 2 discs. Excel Nutricoat Skin and Coat Liquid helps reduce shedding and provides a silky and shiny coat. 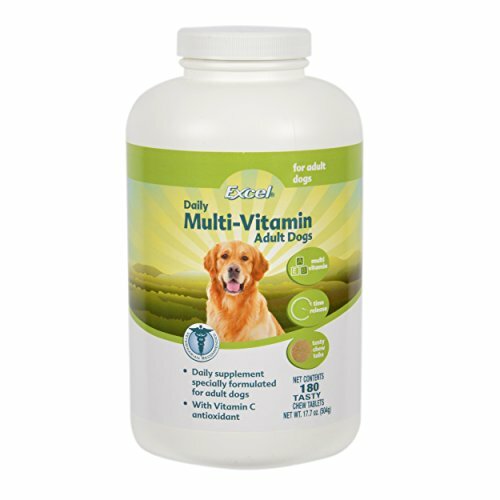 Contains essential fatty acids and vitamins required for a healthy skin and coat. Easy-to-feed liquid, just mix into food. 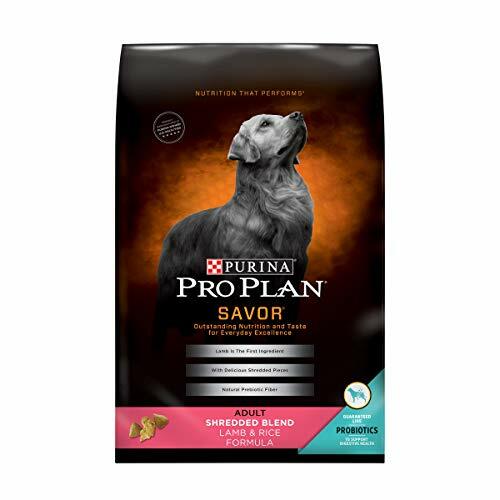 Help see to it that your dog keeps achieving his own level of greatness when you feed him Purina Pro Plan SAVOR Shredded Blend Lamb & Rice Formula adult dry dog food each day. With real lamb as the #1 ingredient, this formula helps deliver the outstanding nutrition your dog needs for everyday excellence. This formula with lamb and rice creates a super-premium dog food that doesn't compromise on nutrition or flavor, while optimal levels of protein and fat help your dog maintain an ideal body condition. With Vitamin A and linoleic acid, an omega-6 fatty acid, this dry dog food helps preserve his healthy skin and promote a shiny coat. Keep his digestive system healthy with natural prebiotic fiber, sourced from wheat bran, which supports your dog's digestive tract. With Purina Pro Plan SAVOR Shredded Blend Lamb & Rice Formula adult dry dog food, it's hard for your dog to wait for mealtime, so order through Amazon.com to get the food he craves delivered right to your door.IngredientLamb, Brewer's Rice, Corn Gluten Meal, Whole Grain Wheat, Poultry By-Product Meal (Natural Source of Glucosamine), Soybean Meal, Animal Fat Preserved with Mixed-Tocopherols (Form of Vitamin E), Barley, Oat Meal, Fish Meal (Natural Source of Glucosamine), Dried Beet Pulp, Animal Digest, Dried Egg Product, Glycerin, Calcium Phosphate, Wheat Proteinate, Vitamin E Supplement, L-Lysine Monohydrochloride, Manganese Proteinate, Ferrous Sulfate, Choline Chloride, L-Ascorbyl-2-Polyphosphate (Source of Vitamin C), Sulfur, Niacin, Copper Proteinate, Vitamin A Supplement, Calcium Pantothenate, Thiamine Mononitrate, Riboflavin Supplement, Vitamin B-12 Supplement, Pyridoxine Hydrochloride, Garlic Oil, Folic Acid, Vitamin D-3 Supplement, Calcium Iodate, Biotin, Menadione Sodium Bisulfite Complex (Source of Vitamin K Activity), Sodium Selenite. P-4470.Guaranteed AnalysisCrude Protein (Min)...26.0%, Crude Fat (Min)...16.0%, Crude Fiber (Max)...3.0%, Moisture (Max)...12.0%, Linoleic Acid (Min)...1.2%, Calcium (Ca)(Min)...1.0%, Phosphorus (P)(Min)...0.8%, Selenium (Se)(Min)...0.30mg/kg, Vitamin A (Min)...15,000 IU/kg, Vitamin E (Min)...460 IU/kg, Ascorbic Acid* (Min)...70mg/kg, Glucosamine* (Min)...400 ppm. *Not recognized as an essential nutrient by the AAFCO Dog Food Nutrient Profiles.DirectionsWe recommend that you keep your dog in ideal body condition and not allow your dog to become overweight. The exact amount of food your dog requires will need to be adjusted according to age, activity and environment. But a good place to start is with these guidelines for an average, active, adult dog fed once daily. Making the Switch to Pro Plan: Although you'll be anxious to see the difference Pro Plan can make in your dog, please allow 7-10 days to ease the transition from your dog's current food. Each day, simply feed a little less of the previous food and a little more Pro Plan until you're feeding Pro Plan exclusively. This gradual transition will help avoid dietary upsets. Provide adequate fresh water in a clean container daily. For your pet's health, see your veterinarian regularly. Store in a cool, dry place. 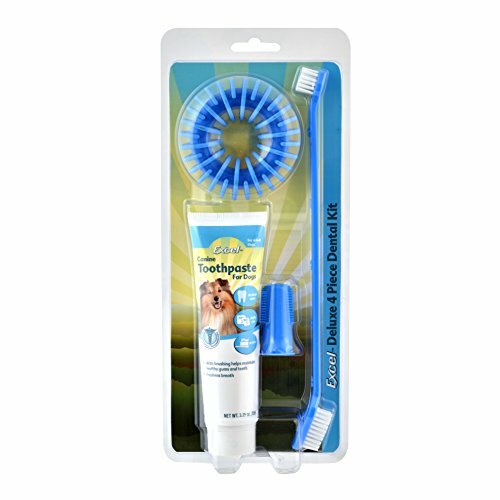 Treat your dog to the ultimate in dental care with premium oral hygiene products. Premium ingredients combined with regular brushing promote healthy teeth and gums. Great fresh flavor!.